Nicole Kidman has swapped in her flowing blonde tresses for a choppy brown look in her newest role for her upcoming film "Destroyer." First looks from the film features the 51-year-old as a worn down cop who had to deal with disturbing events when she went undercover to infiltrate a criminal gang years before. In the movie still, Kidman sports greying hair that frames a haggard face complete with an intense, tired stare towards the camera. She is wearing a dark grey top giving her a disheveled look. In the film, Kidman plays an LAPD detective, Erin Bell. The demons of her past association with the Californian gang comes back to haunt her when the gang leader emerges from the shadows, almost 20 years later. The movie is set amidst a dark atmosphere. The stark contrast to Kidman's usual brighter look is all part of what director Karyn Kusama wanted as part of the character's experience. "We always knew that what we wanted her to look like was a real middle-aged woman with a past that she wears on her face." Kidman definitely looks like she brought the idea into action in her portrayal just from the initial sneak peek. Kusama further explained that the appearance should reflect "sun damage and sleep deprivation and stress and rage, just in her whole physical body." It's no surprise that this is the boggling result Kidman brought to the table. 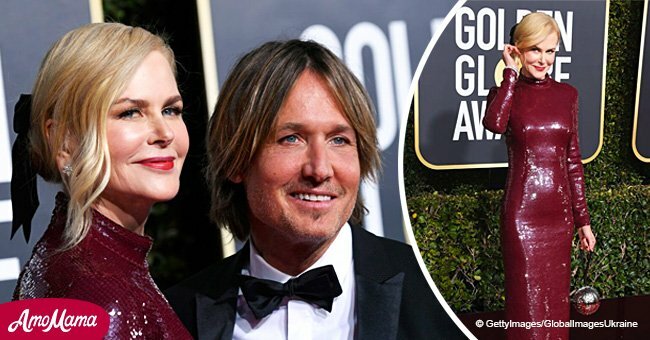 The star of "Big Little Lies" won the award for Best Actress at the Golden Globes at the start of this year. Kusama describes how Kidman essentially "wears her ugliness on the outside, all that smallness and bitterness." At the Emmy Awards last year, some would say that Kidman wore her ugliness in a pair of shoes she wore that seemed to be totally mismatched. She received some criticism for her odd choice at the prestigious aware show. "Destroyer" however, will be all about intentional disorder. It also stars Sebastian stan, Tatiana Maslany, Bradley Whitford, and Toby Kebbell. Other films the actress will give fans this year include "Boy Erased," in which she plays the role of a mother whose son is forced to attend a gay conversion program, as well as "Aquaman" as Queen Atlanna. Release dates are November 2nd and December 21 respectively. 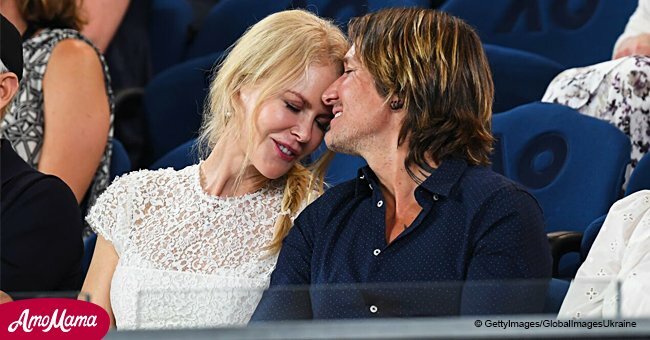 Off-camera, Kidman and husband Keith Urban continue their humanitarian role, recently donating $100,000 to struggling Australian farmers who are enduring a devastating drought.